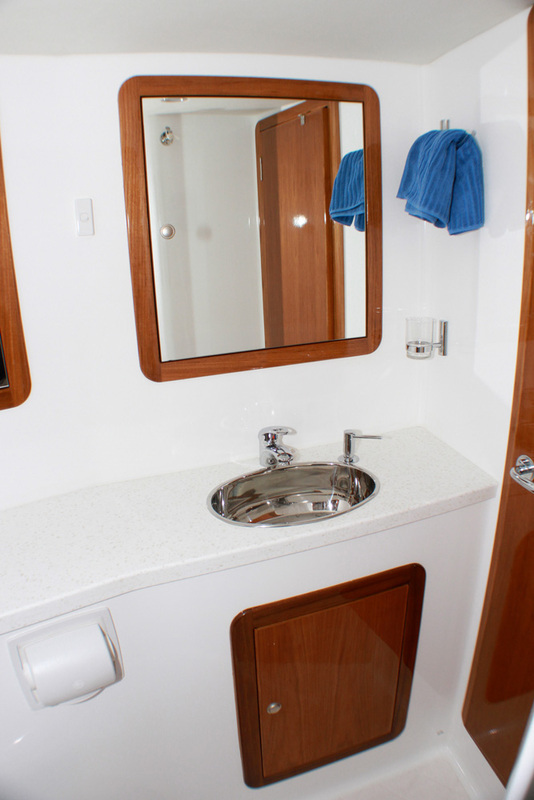 KEKOA is the flagship vessel from the O’Brien Boats stable. 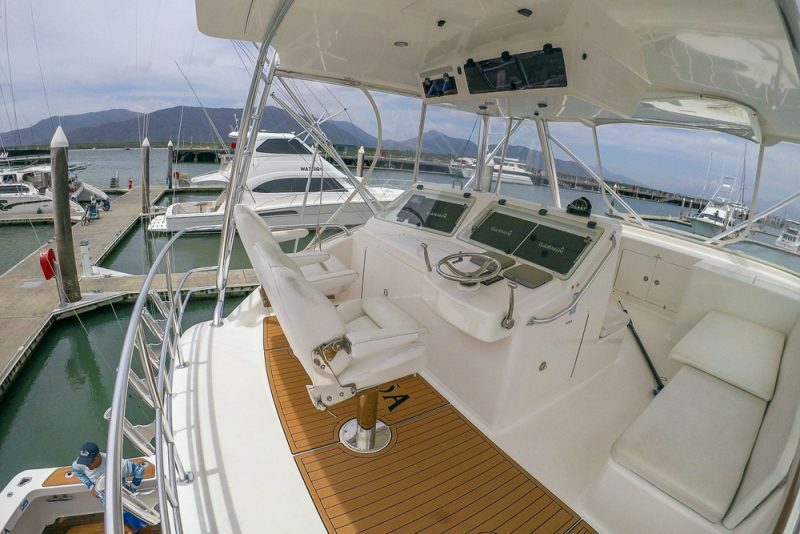 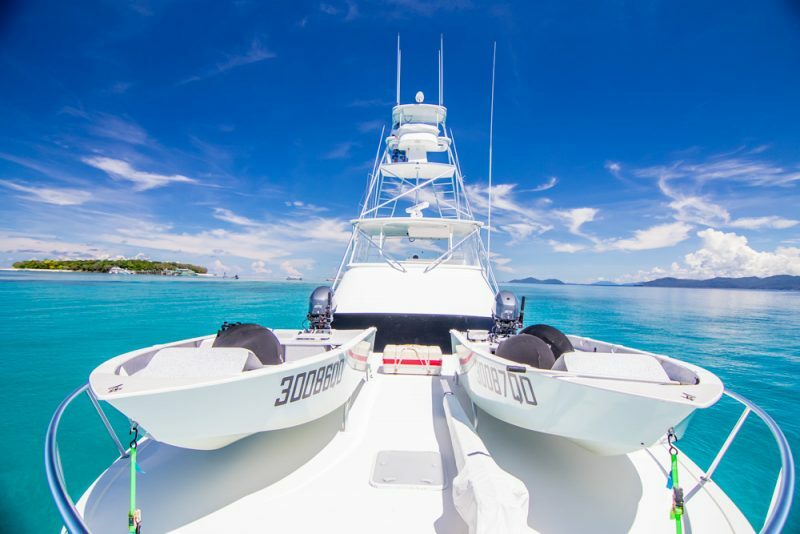 O’Brien Boats is one of Australia’s premier custom gameboat builders – in fact these boats are so popular, they make up much of the professional Cairns marlin fleet – and are known for their stable ride and performance. 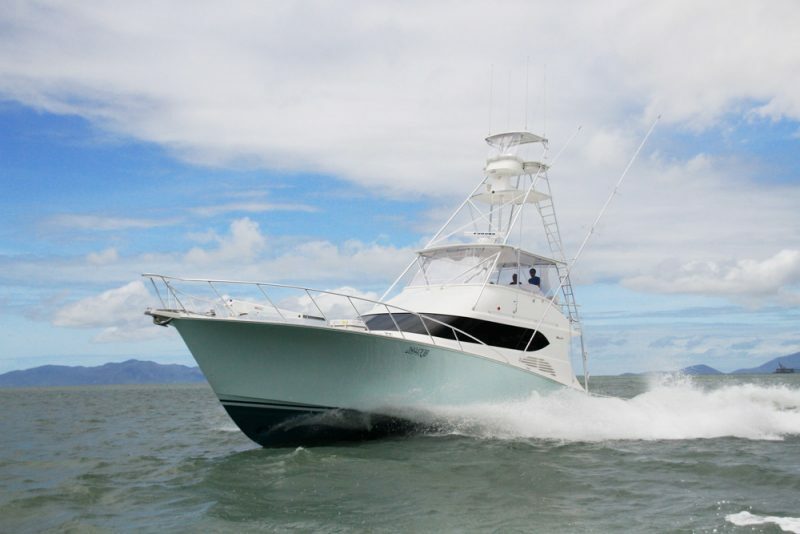 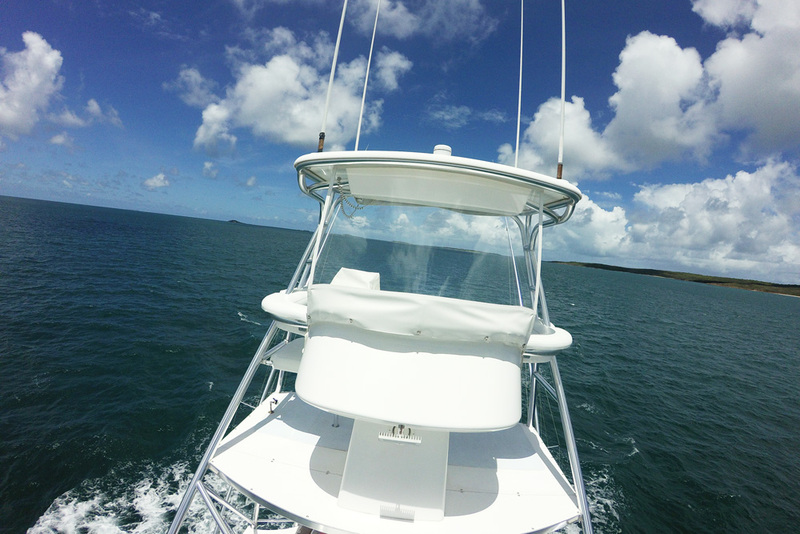 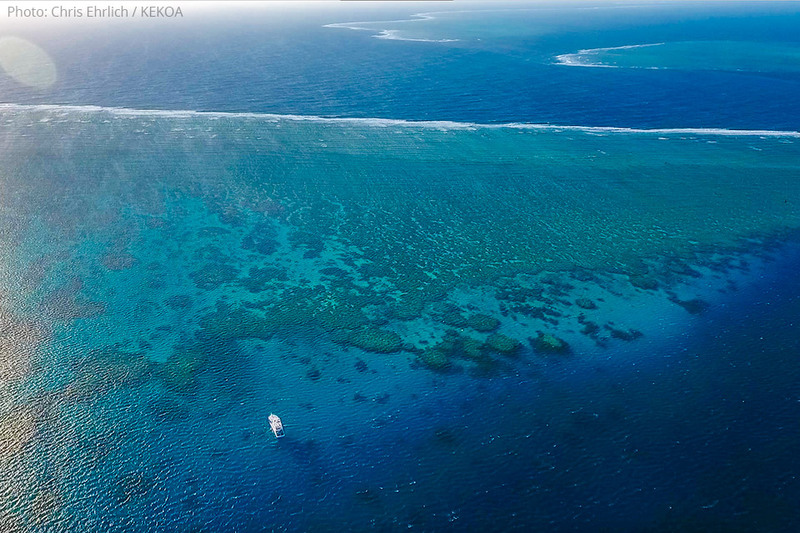 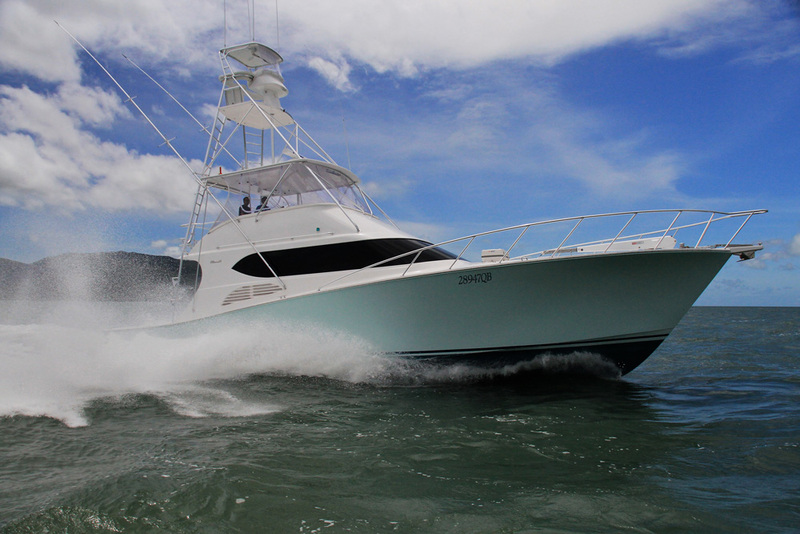 KEKOA was custom built with the Cairns marlin season and long-range live aboard charters in mind. 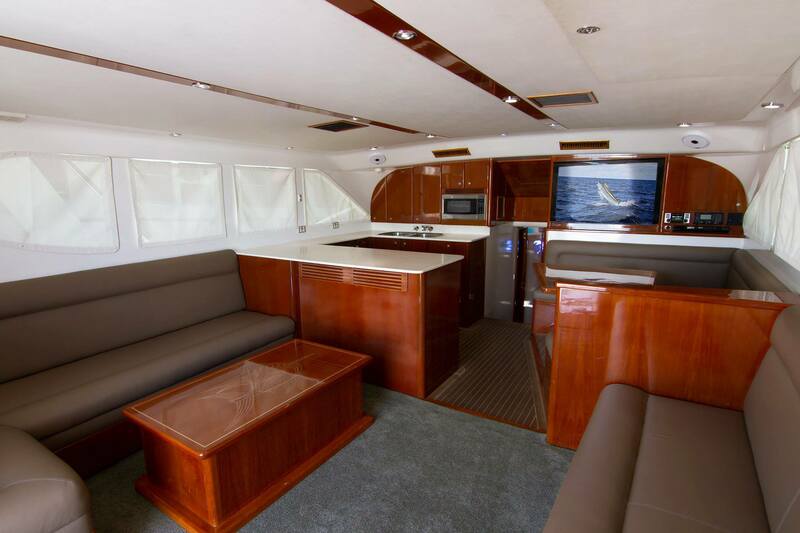 Two years of planning went into the design and build and she has only exceeded expectations! 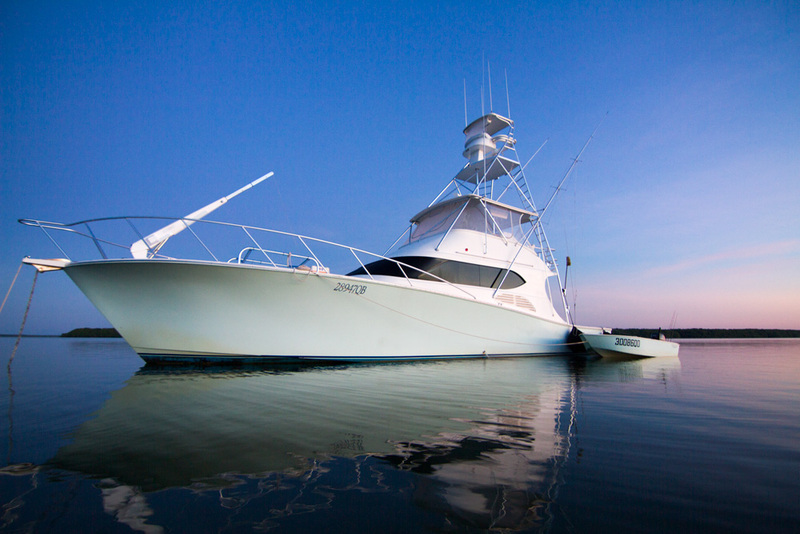 The 56 foot was launched in March 2010. 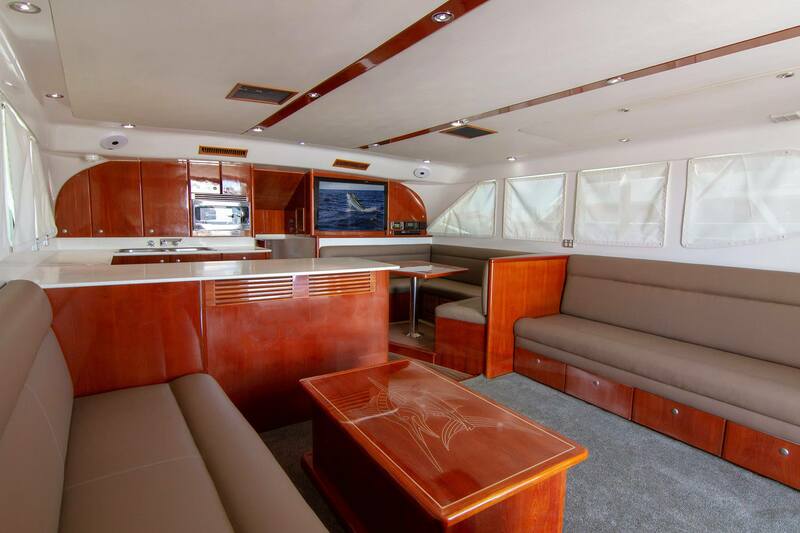 She is the second O’Brien for KEKOA’s owners having been very impressed with their previous 47 foot model. In 2018 she underwent a moderate refit and is looking and performing as good as ever! KEKOA delivers a world class fishing experience while comfortably accommodating luxurious personal charters. 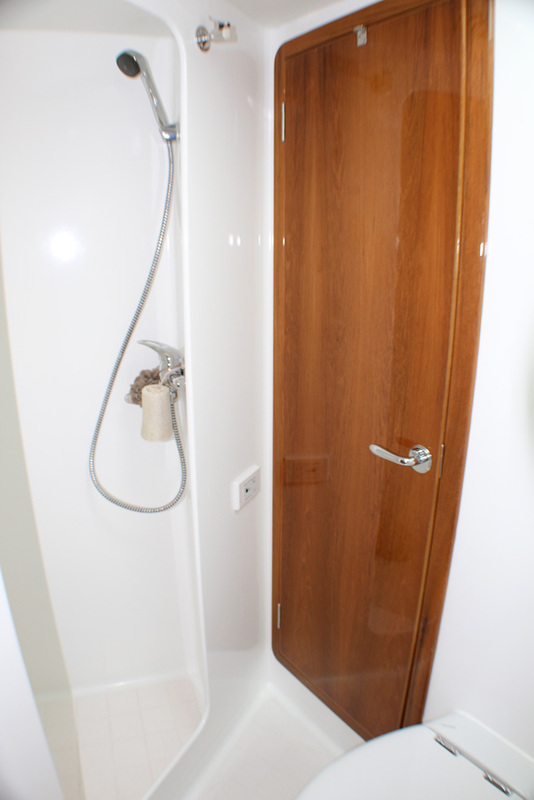 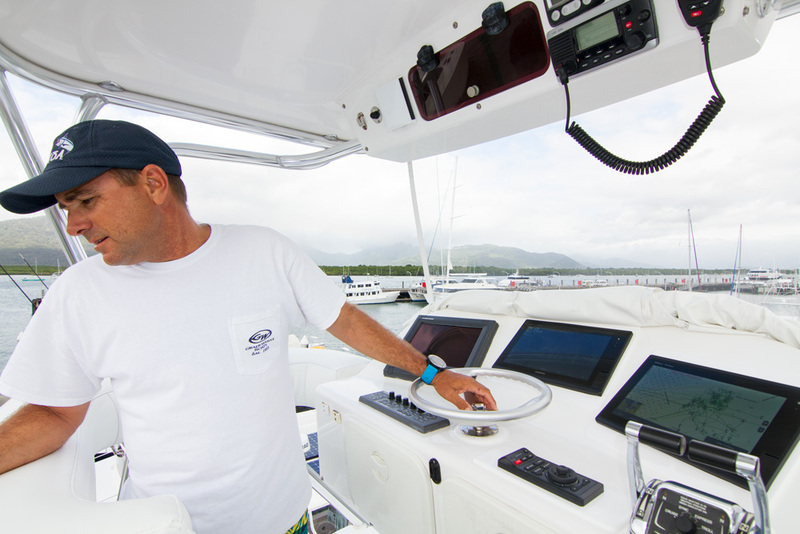 KEKOA is equipped with the latest state-of-art electronics. 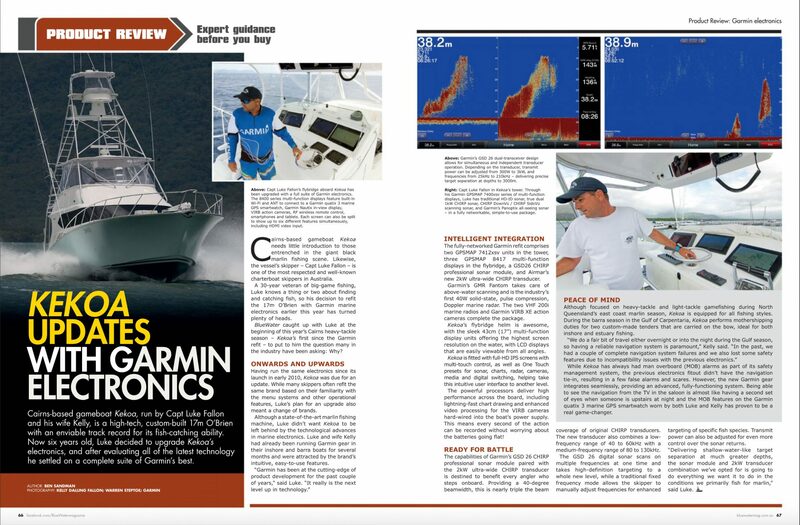 As proud Garmin Ambassadors, we underwent a complete electronics refit in 2016 to ensure we had the latest technology at our fingertips! Read about our recent complete Garmin electronics upgrade here. 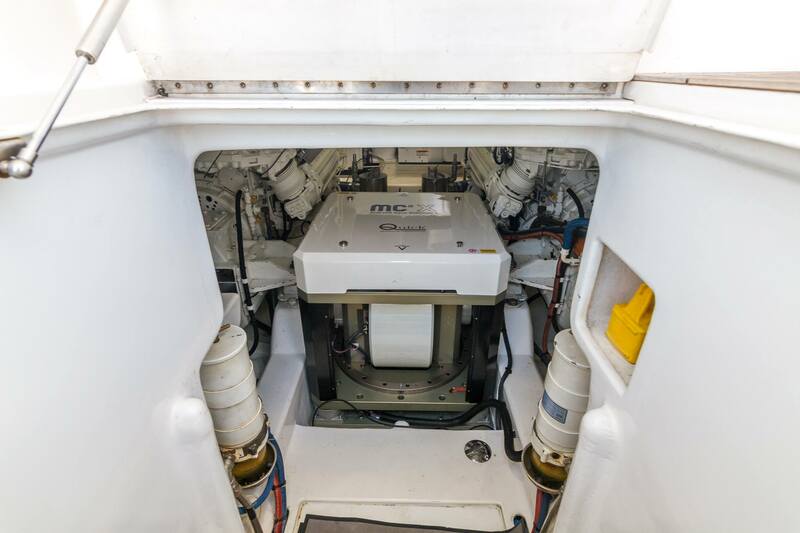 In 2018 a Quick MC2X gyro stabiliser was installed by Gineico Marine which makes her an even more impressive and comfortable fishing platform than she already is. 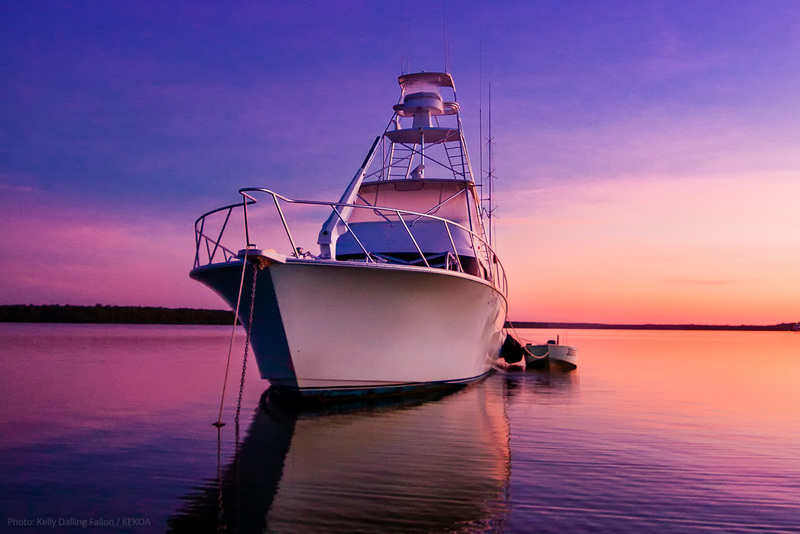 For fishing at Fraser Island before, this puts new anchorages into the equation keeping us overnighting closer to the fishing! 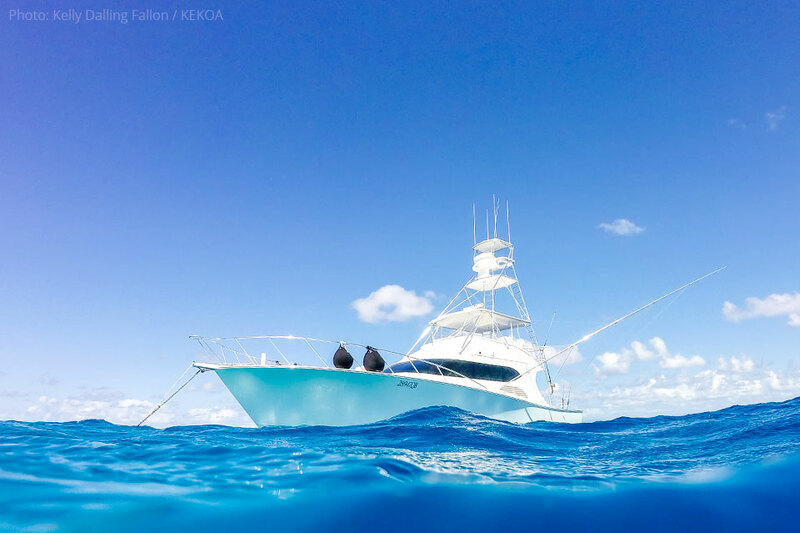 KEKOA is also well equipped for all fishing styles and possibilities with an array of the highest quality fishing tackle. 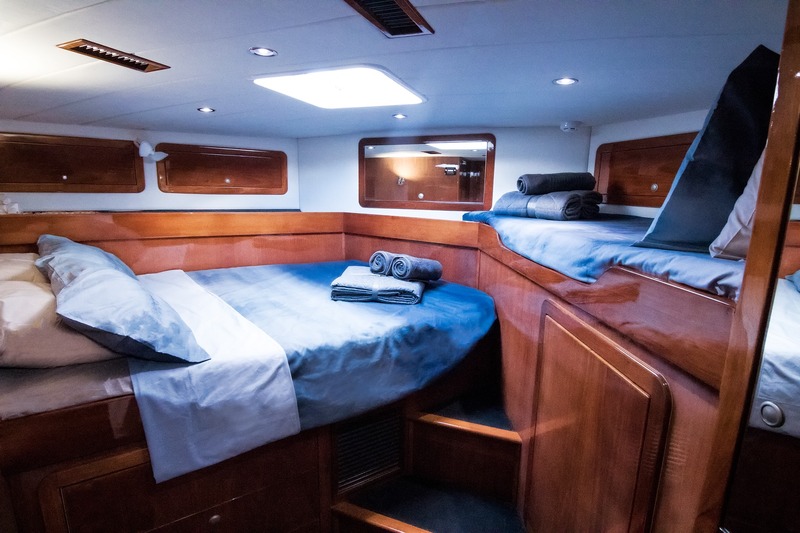 KEKOA’s 56 foot design integrates luxury, quality and comfort to cater for all your individual fishing charter experiences including two ensuited guest cabins as well as separate cabins for the captain and crew. 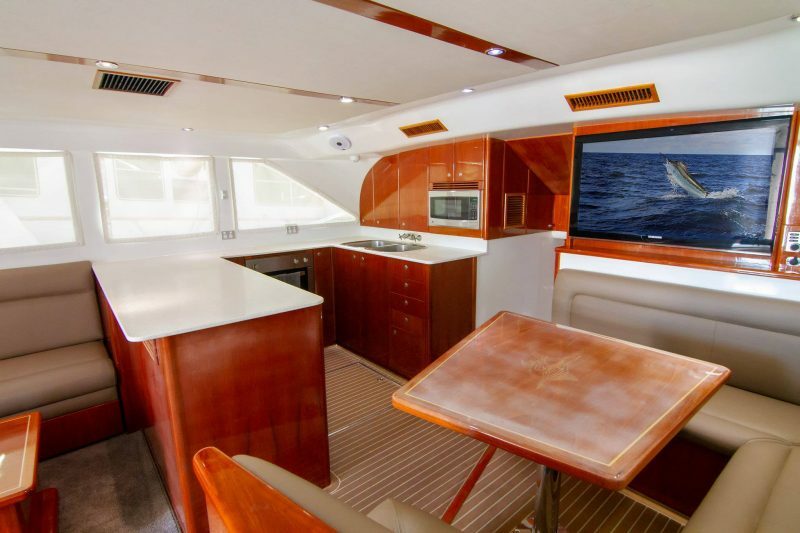 She is fully air-conditioned throughout and the added beam of the 56 foot vessel allows for a very spacious saloon and entertaining area — as well as a second entertaining area on the flybridge. 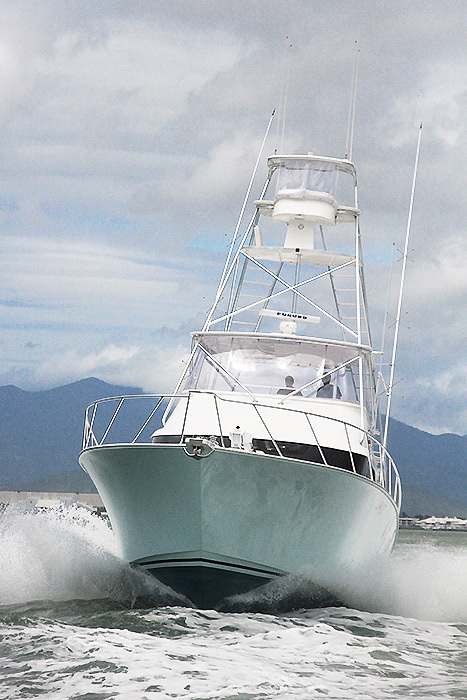 Read the KEKOA boat test in Bluewater Magazine here. 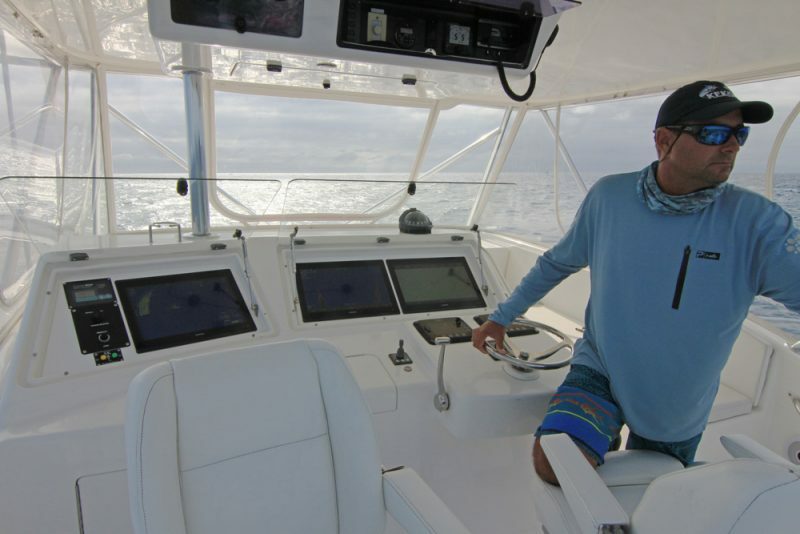 Full Garmin suite of electronics including Garmin GMAP units, Chirp sonal modules and GMR Fantom radar as well as Furuno sonar with Airmar Chirp transducer.